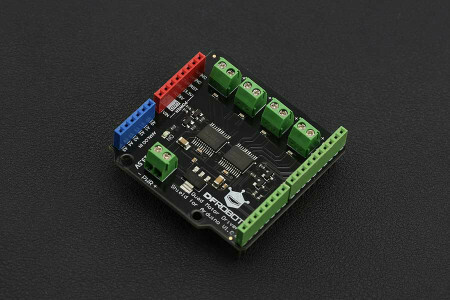 This is a stepper motor driver introduced by DFRobot for those projects require powerful stepper motors, such as a pair of automatic curtains, an XY Plotter. 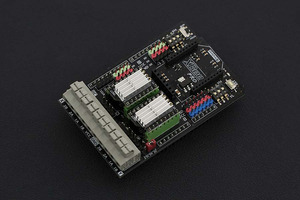 This shield allows Arduino drive stepper motors (up to 2A per motor coil, 40V max). 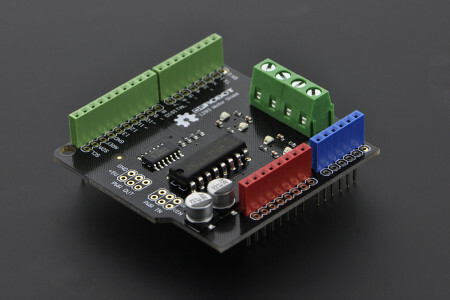 This stepper motor drive shied adoptes a TMC260 chip which is the first energy efficient high precision microstepping driver IC for bipolar stepper motors with integrated power MOSFETs. The unique high resolution sensorless load detection stallGuard2™ is used to for the world’s first integrated load dependent current control feature called coolStep™. The ability to read out the load and detect an overload makes the TMC260 an optimum choice for drives where a high reliability is desired at a low cost. The new patented spreadCycle™ PWM mixed decay chopper scheme ensures best zero crossing performance as well as high speed operation. 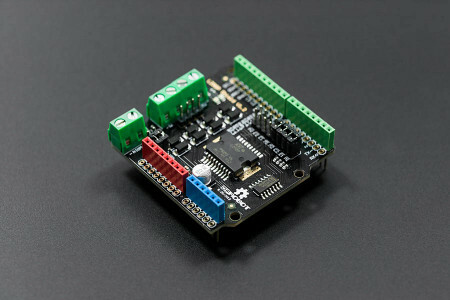 The TMC260 can be driven with Step & Direction signals as well as by serial SPI™ interface. Using the microPlyer™ allows to operate the motor with highest 256 µStep smoothness reducing the input frequency to 16 µSteps. A full set of protection and diagnostic features makes this device very rugged. 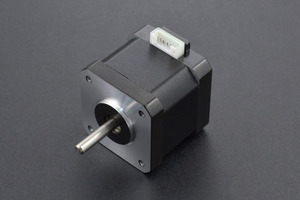 It directly drives stepper motors with up to 2A. This way it reaches highest energy efficiency and allows driving of a high motor current without cooling measures even at high environment temperatures. This is a simple but fun application for Halloween. All you need is a mask, a stepper motor, a micro-controller, a motor driver, a MP3 module and some wires as well as batteries. Integrated XBee Slot, XBee, WiFi Bee, Bluetooth Bee, IIC. 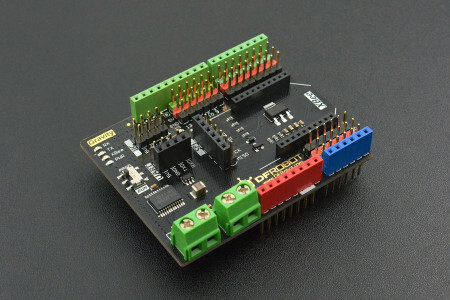 Not compatible with IO expansion board V7.1. 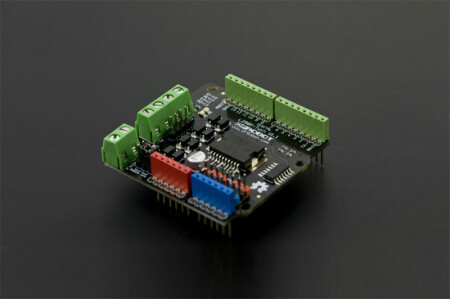 The control port is four, which reduces the overhead of the Arduino digital ports, and easy to program. 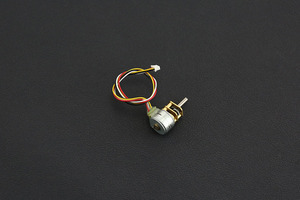 Suitable for driving bipolar stepper motors. 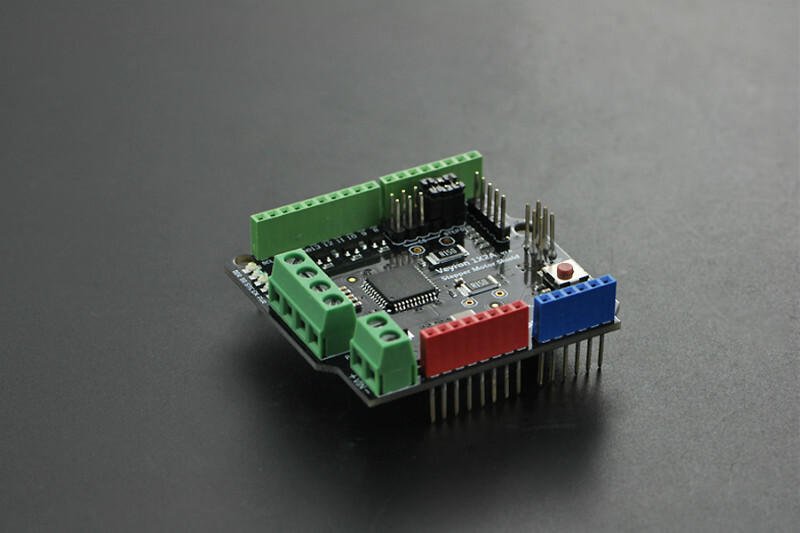 SPI serial bus control or STEP/DIR signal control. Controllers such as Mega with full port expansion.